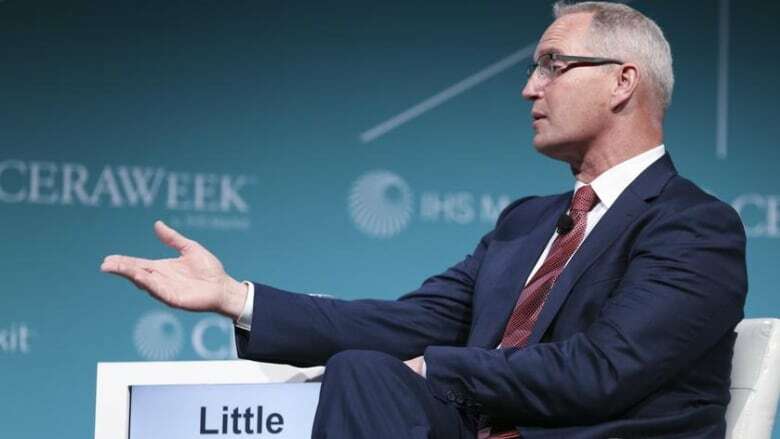 If there was one takeaway from attending the annual CERAWeek conference in Houston, it is this: Canada is at risk of becoming a footnote in the global energy matrix. Former Prime Minister Stephen Harper might have proclaimed – back in 2006 – Canada’s intention to become an energy superpower, but what was clear from this year’s gathering was that the United States has eaten our lunch on that one. Whether in the context of growth in production from the prolific shale plays – oil, natural gas and natural gas liquids – and the building of liquified natural gas (LNG) terminals, Canada continues to fall behind. It’s easy to blame this on government policy gone wrong – and when it comes to the challenges approving pipeline infrastructure, that is certainly a more than valid criticism. Increasingly fingers are being pointed directly at legislation passed in 2012 as marking the beginning of the challenges surrounding the timely permitting for projects. But the Canadian energy sector hasn’t done itself any favours, either. The lack of effort put into telling Canada’s energy story at home and abroad – of responsible development, economic growth and scientific contribution – has been well-documented. But there is another piece missing. And it was in full evidence at CERAWeek. Other than three chief executive officers of Canadian energy companies — Mark Little of Suncor, Doug Suttles of Encana and Andy Calitz from LNG Canada, as well as Janet Annesley of Husky — who were all part of different panel discussions, Canadian energy leaders were nowhere to be seen. The energy business is a global business. CERAWeek brings together all the major energy players from around the world. This year it drew 5,400 delegates from 75 countries. It presents an invaluable opportunity to learn about macro trends, hear about what is going on in other jurisdictions, the challenges being faced and the dramatic developments in technology aimed at increasing production, decreasing costs and mitigating the carbon footprint that are taking place. To borrow from a sports analogy – when you are competing against another individual or team, isn’t in your best interests to understand the toolkit they have relative to the one you are using? We lose the game if we think we know everything. When it comes to the issue of regulation, connecting with other players and understanding how their regimes are structured can bolster the case for what needs to be changed in Canada, using credible and concrete examples. It would have been insightful for Canada’s energy leaders to hear the frequency with which carbon emissions, environmental stewardship and yes, even carbon pricing, were mentioned. But first you have to show up. Showing up to engage in the spontaneous discussions in the hallways between sessions, receptions and at meals when you never know who you will be seated next to. What’s the worst that can happen? You might learn something new. Have an epiphany, perhaps? Learn that what you thought were best practices are being done even better somewhere else. Here’s the great irony: government officials – federal and provincial – have been in attendance and visible at CERAWeek in recent years. This year was no exception. Think of how powerful it would have been for industry leaders to be with the government representatives, connecting the dots between what was being said during the sessions and the relevance to Canada’s energy sector. It could have helped inform views on regulation and market access. Instead, industry seems to be living in a bubble. A made-in-Canada energy bubble. Remember the 1962 ‘We try Harder’ advertising slogan for the rental car company, Avis? Maybe Canadian companies need to work harder to get on the radar screen of the technology and software companies that are already partnering to offer solutions to the major players. That’s because our oil doesn’t just compete with the U.S. – it competes with the world. That’s why pushing for competitive advantage is important – but so too is recognizing carbon pricing is not going away. One of the big takeaways this year were discussions around collaboration – across disciplines – to improve performance and competitiveness. One could argue this is going to be driven by two distinct factors: the first and obvious one being the need to be competitive, but the second is that there is a new generation of engineers, scientists, economists and financial types coming into — and rising through the industry — whose mode of working is collaborative and inclusive. They realize they don’t have all the answers and will reach out to bring in the skills and expertise to surface those solutions. Canada’s energy sector is frustrated and angry. That’s fair. But it isn’t the only energy sector to have faced challenges. Engaging with other companies in different jurisdictions to understand how they overcame roadblocks could be helpful. Turning outwards to find solutions can pay huge dividends. There are more than a few lessons to be learned from four energy ministers – from Egypt, Israel, Cyprus and Greece – sitting together on a stage as they did on Wednesday morning and discussing how they are co-operating to develop natural gas fields in the eastern Mediterranean and the pipeline infrastructure to get it to markets. It hasn’t been an easy process, but the project is moving ahead. These four countries found a way to work together for their mutual benefit. Surely we can find a way to do the same thing in Canada – and resolve the differences stopping infrastructure from being built, economic growth from taking place and the country’s energy sector from truly being part of the global energy matrix.